Refineries process crude oil into a variety of useful products, including gasoline, diesel fuel, and heating oil. 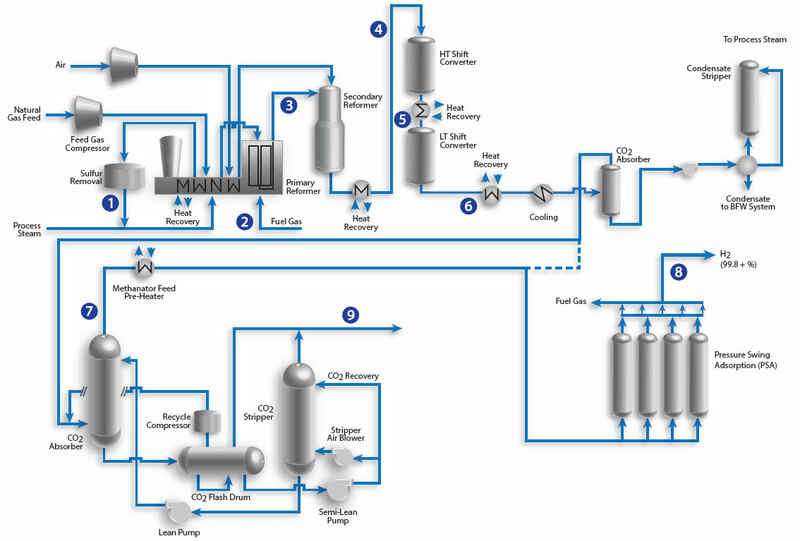 Modern refineries use hydrogen in numerous hydrotreating and hydrocracking processes, and an essential feedstock for many of these process units is hydrogen. Hydrogen is the simplest and most abundant element on earth. Hydrogen is primarily produced from Steam Methane Reforming (SMR) of natural gas. In refineries, one of the most common uses of hydrogen is in the various hydrotreater and hydrocracker process units used throughout the refining process. Given its extensive use in refineries, recycle gas loops are also quite common in refineries to recover unused H2. Many of these gas streams contain high levels of steam, and the process conditions are severe enough to require special sample conditioning techniques. The Optograf™ Analyzer and integrated sampling interfaces address these sampling and analysis challenges.